Sieges determined the course of the English Civil Wars, yet they receive scant attention. In contrast, the major set-piece battles are repeatedly analysed and reassessed. As a result our understanding of the conflict, and of its outcome, is incomplete. 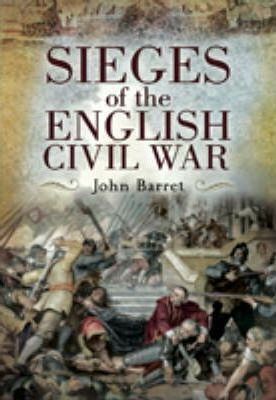 John Barratt, in this lucid and perceptive account, makes the siege the focal point of his study. As well as looking at the theory and practice of siege warfare and fortification, he considers the often-devastating human impact. Using a selection of graphic examples, he shows how siege warfare could ruin the lives of the soldiers - and the civilians - caught up in it. He examines in detail a dozen sieges, using a combination of eyewitness accounts, other contemporary sources, archaeological surveys, and other modern research. His study provides a detailed and vivid reconstruction of these often neglected episodes of civil war history. John Barratt is one of the leading historians of the English Civil Wars. His principal publications include Cavaliers: the Royalist Army at War, 1642-46, The Battle for York: Marston Moor 1644, The Great Siege of Chester and The First Battle of Newbury, 1643 and Cavalier Generals: King Charles I and His Commanders in the English Civil War, 1642-51.